One of my favorite products that I look forward to reviewing whenever it is available is anything from Drive Thru History®. 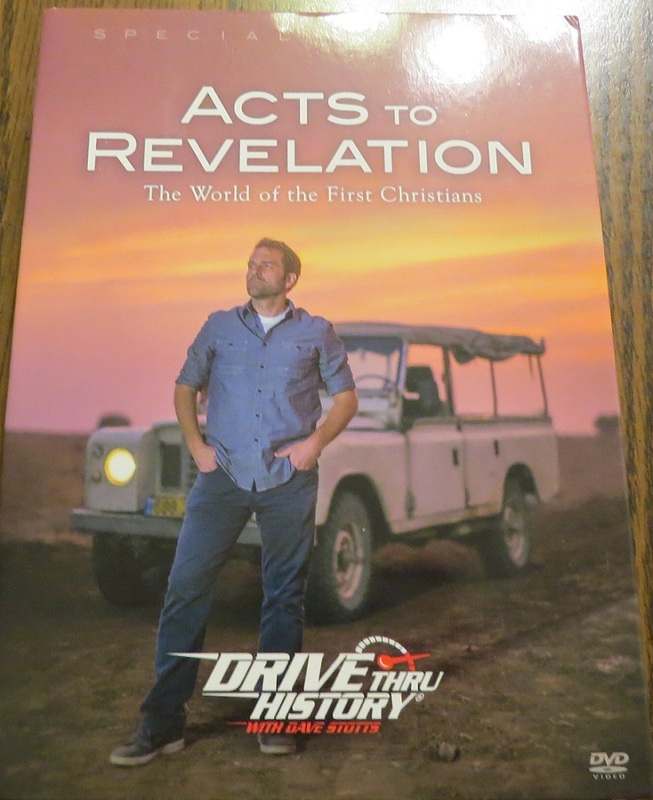 This time, we had the pleasure of reviewing Drive Thru History® “Acts to Revelation”. 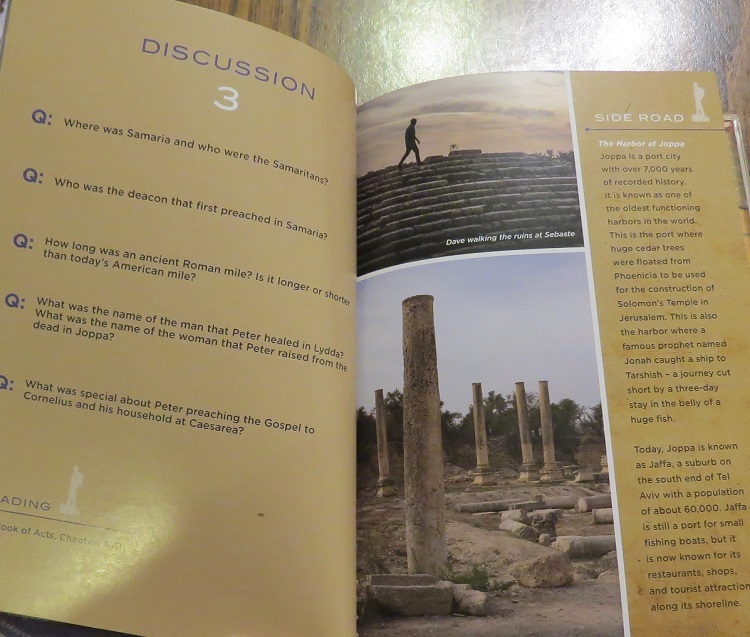 We’ve had the pleasure of reviewing “The Gospels,” and last year we also got to review Drive Thru History Adventures, a website that has three of the series, Bible History, American History, and Ancient History. During this series, Stotts travels to Israel, Turkey, Cyprus, Greece, Malta, Rome and Patmos. At one point in time at the end of the first disc, Stotts honestly expresses that he can’t travel to where he had planned because there was reports of ISIS activity up ahead. He made a small joke and said, “So, I’ll be heading back that way again,” referring to the area opposite of ISIS activity. As always, I appreciate his humor and his honesty about some of the activity in these areas. These CDs come in a case that also includes a thick booklet which includes study guide questions for each episode, a summary for each episode, and gorgeous pictures as well as “side road”. I’m planning to hold onto this set and use it again for the girls when they’re in high school. I can foresee this series working well as a church history supplement as well as an early history supplement. It would also make an excellent Bible study for teens or a church group. I had been planning on watching this little by little with the girls, ages 8.5 and 10, but I got sick one weekend, and while I was lying in bed with a fever, I decided to watch some episodes. Cuddle Bug (8.5 y.o.) snuggled into bed with me, and we watched half the series that way. After that, we watched an episode every other day. This series is excellent for history buff, those who want to know more about religion, and those who want to travel. Cuddle Bug and I enjoy all three of the above, so we happily wiled away the hours as Stotts traveled throughout the Holy Land.